Intel's Core i7 processor. 99% of you reading this article won't need the kind of power provided by this baby. I've written here previously about the diminishing returns of smartphones. To summarize what I said there briefly, the processors within smartphones are so good at what they do that each subsequent upgrade feels like less of an improvement over the previous model. Or, in other words, the iPhone 4S felt much faster than the 4, but the iPhone 5S felt minutely faster than the 5. A similar trend is occurring in the world of personal computers. If you bought a PC or laptop during or after 2007, you probably still own it to this day. Or, if you don't, it wasn't because it became too slow to perform the tasks you needed it to, but because it broke down. The second issue is that most computers are capable of performing all of the tasks people generally want to do, like web browsing, video playback, blogging, whatever, and it has been that way since around 2007, maybe even 2006. So, while computers are indeed limited by their silicon structure, the other issue is that most people have no clue about what to do with the power they already have at their disposal. Indeed, why do you think that Macbooks are so popular? The PC crowd will yell about how they are weaker compared to their similarly priced Windows competition, and they'd be right. However, for most people, a Macbook's power is more than sufficient enough to do all of the productivity tasks you could want to do. Unless you are a gamer, or an engineer, a Macbook is a feasible choice (despite its price), because it uses pristine software and comes with the kind of build quality Apple is famous for. I suppose what I am trying to say here is that silicon isn't the only thing holding back the computer industry. People are happy with the power of their current machines, and don't care about whether or not they have a Core i3 or a Core i7 processor running their applications. To them, the end result is relatively the same with either. Michio Kaku stated that we will shift from silicon, to parallel processing (a fancy way of describing a technique that would place multiple CPUs on a single motherboard), to molecular processing, etc. He gave us around ten years before we make the leap from silicon to molecules. As much as I wish he were right, I don't really see it happening quite that fast. 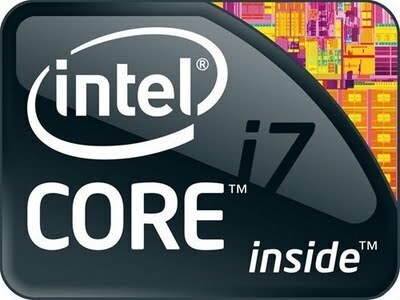 In the present day, the fastest consumer processor around is probably the Intel Core i7 4xxx series. That chip is so fast that bleeding edge PC gamers see it as overkill to buy one, let alone the average consumer. If I may be so bold as to make my own prediction, I'd say that over the next decade, computers will evolve based more upon software than hardware. While processors will continue to be improve, it won't be at the same rate that it occurred in the past. What will probably happen is that companies like Intel and AMD will produce more efficient chips, that, while being only a bit more powerful than the previous generation, use far less energy. In order to make the leap to something like molecular processing, as Kaku suggests, we would need a revolution first in terms of how the internet and software works. As of now, that dusty old PC you have from 2007 can play Youtube videos, run Microsoft Word, and allow for copious amounts of Facebook stalking just as well as something released this year. Maybe I should have made the title of this article "don't expect faster feeling computers any time soon." Like smartphones, while the chips may improve marginally year to year, the programs and tasks you do on your PC will remain relatively the same barring some sort of paradigm shift. Therefore, if you aren't a gamer or programmer or developer or engineer of some sort, you probably won't be basing computer upgrades on a need for more speed. Instead, you'll probably ride your current machine into the ground, and get something new only when absolutely necessary. To make one final point, this trend can be seen in the Xbox One and PS4. Generally, video game consoles provide some evidence as to where the computer industry is going in terms of power. Revealingly, both of these "next-generation" systems use parts that you could find in a PC as early as 2011. This reinforces the idea that computers have reached a point of severe diminishing returns. If gamers are happy running their favorite titles on dated technology, what does that say about the general public? In short: this reveals that, for the majority, there is no demand for increased computing power.